Narrowing any top list down is no easy task, especially when the NES is concerned; after all, it's one of the most beloved game consoles of all time and brought the world many iconic and classic games that are still widely played to this day. But while I did eventually manage to pare the list down to 50, there are still plenty of other interesting games out there worthy of consideration. So with that said, let's take a look at a few more greats that didn't quite make the cut. The NES had perhaps more baseball games than any other genre in its library, and while most of them were decent for the era, the overwhelming majority have not stood the test of time well, lapsing into obscurity not long after their release as sports games tend to do. Base Wars, however, remains a standout title for putting some clever spins on the formula. Rather than human players, you form a team of robots (with four varieties - legs, wheels, treads or hovering) and rather than simply being forced out at base, one can engage in hand-to-hand combat to make it there safely; the closer you get to the base, the more health you'll have to spare in the ensuing duel. It's a bit basic and button-mashy, but the concept is hilarious, and it is also possible to win by playing dirty - beating up the opposing team enough and causing the destruction of three of their players will force them to forfeit the game. Season mode also adds some clever twists by allowing the player to upgrade their team's weapons and parts to make them better equipped for games. Pretty fun stuff, and the baseball mechanics themselves are solid too, of course. It's just a pity the Cyber Stadium Series never produced another game. One of many Disney-licensed platformers on the NES by Capcom, and one I rented many times as a kid. Capcom's strong level design shines through here, delivering some creative stages like a kitchen, a toy factory and treetops with attacking flying squirrels. Some solid music and visuals also complete the package, as does a two-player simultaneous play option that makes for a fun romp. The game is ultimately fairly short and not especially difficult to complete, but I still pop it in and play it to this day because it's just a fun experience overall. The only Shigeru Miyamoto-produced title to never be released in the United States, possibly because several controversial Atari 2600 games like Custer's Revenge and Texas Chainsaw Massacre were still fresh on peoples' minds and Nintendo didn't want to stir up another hornets' nest by releasing their new system with a title like "Devil World." 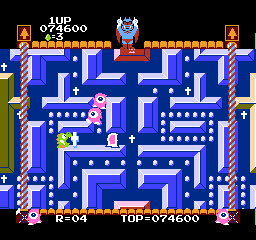 Regardless of its Abrahamic iconography, though, the game is ultimately harmless, starring a cute dinosaur creature named "Tamagon" as he collects crosses, dots and bibles in a monster filled maze a la Pac-Man. 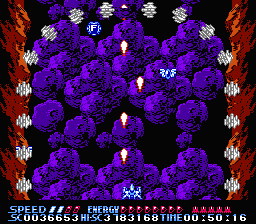 This gets more complicated thanks to the titular Devil, who forcibly scrolls the screen in order to close off pathways and potentially crush you behind walls, adding another layer to the game's action. It's ultimately nothing too spectacular, but it is fun to play, and certainly not the stuff of youth-corrupting evil. Mega Man 1 and 6 are generally considered the weakest entries on the NES platform, but both have some interesting quirks of their own. 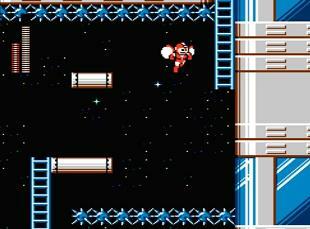 Mega Man 1 was certainly among the earliest games that allowed the player to tackle stages (and bosses) in any order, though it did become somewhat notorious for its high difficulty level and lack of later series innovations like passwords and E-tanks. Mega Man 6, on the other hand, definitely felt a bit rushed as it came out in the twilight days of the system and had comparatively bland level designs and weapons compared to its predecessors. However, it did also have some unique power-up suits in the Rush Armor (which can smash through walls and deal damage with short-ranged punches) and Rush Jet (serving as a jetpack that allows flight for short distances). Regardless of their shortcomings, though, they're both a lot of fun to play, and as I've said before, classic Mega Man at his weakest is still better than most game franchises at their best. 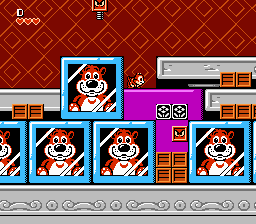 Monster Party probably isn't remembered by most as one of the best-playing games on the NES, but it is certainly one of the most memorable. 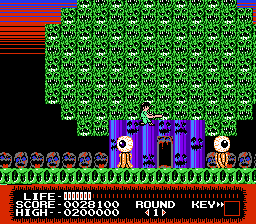 This is in no small part due to featuring some surprisingly gruesome imagery for the NES, including even some blood and gore, as well as some of the most creative and outlandish bosses seen in any NES game. From a bubble-spitting pitcher plant to a mummy to a cat that throws smaller cats to a giant bouncing onion ring, Monster Party has panache and weirdness to spare, as well as giving the player a clever means to fight them, either transforming into a winged gargoyle-like creature to launch fireballs or utilizing a short-ranged baseball bat to deflect their own projectiles back at them. One of those games that still stands out today just based on the merits of the imagination employed in its design. Fun fact: An unreleased Japanese prototype of the game reveals that many of the bosses within are actually parodies of famous films, from Planet of the Apes to Alien to Gremlins to The Thing. Unsurprisingly, most of these were changed in the US version because of copyright concerns. Recca is a game known for three things: Giving the Genesis's Blast Processing a run for its money with the fluidity in its gameplay and animations, being extremely rare (only seeing limited release as part of a Japanese competition) and its monstrous difficulty. 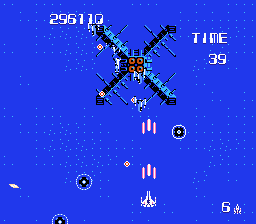 From beginning to end, this game's action is utterly relentless, with constant swarms of enemy ships and bullets flooding the screen amongst a plethora of flashy visual effects and intense, pulse-pounding music, and it all blazes along at speeds the hardware doesn't even seem like it should be capable of at all! If you want a game that will push your reflexes and shoot-em-up skills to their limits (and if you can find a copy), look no further than Recca, because it is truly one-of-a-kind. Created by the company that would later bring us such classics as Gun-Nac, Guardian Legend, MUSHA and the Aleste series, Zanac is the grand daddy of them all, and a damn impressive game in its own right. Not only did you have ten distinct weapons to choose from, but the game also sported a pretty solid, energetic soundtrack and blazing fast speed. The visuals are a tad on the ugly side, but when you have gameplay this solid and fast-paced, that really doesn't matter much, now does it? 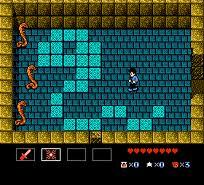 One of the very last games officially released for the NES, and it was quite a good one. A followup to Startropics - a game curiously programmed by a Japanese development team but only ever released in the west - Startropics 2 featured tighter controls, crisper graphics and a new plot involving Mike travelling through time searching for the seven magical Tetrads. Oh yes, Nintendo had the Tetris license at the time and they wouldn't let you forget it. Another welcome change was the general softening of the difficulty curve - while still very challenging, cheap shots that took off a third of your health bar were now a thing of the past, and making contact with the bosses wasn't an instant death sentence - you simply lost a large chunk of your health. Just a touch more of the problem-solving aspect and solid narrative of the original and this may very well have surpassed it!